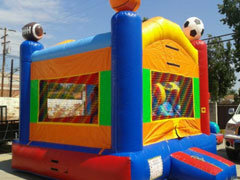 Bounce House & Party Rentals | MannysPartyRentals.com - South El Monte CA. 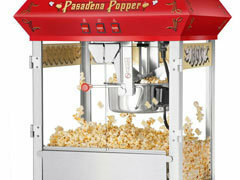 Welcome to Manny's Party Rentals! 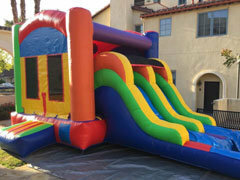 Thank you for visiting MannysPartyRentals.com; your partner for the best bouncing time in the Los Angeles area. 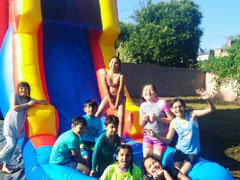 Here you'll find great deals on bounce house rentals, jumpers with slides, combos, water slides, and other great party equipment. 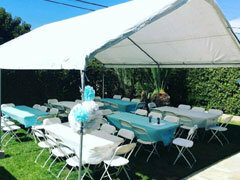 We provide party equipment delivery service to communities like El monte, West covina, Temple city, Rosemead, Baldwin park, Avocado heights, La puente, Monterey park, Hacienda heights, and Alhambra. This is just a partial list of area's we serve so if you have questions about your specific location give us a call for details. 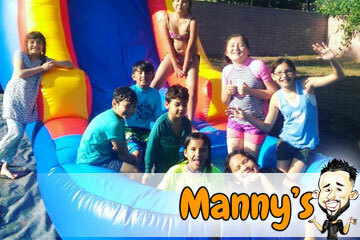 At Manny's Party Rentals my name is on the company header, so you can count on always getting on-time delivery, units that are cleaned and sanitized, and great 5 star customer service. From backyard birthday parties to large community events, let us do the heavy lifting while you enjoy family, friends, and guests. If you have questions on planning, call (626) 232-3925 today and one of our event pros will guide you to the right equipment and keep you on budget. This is how it works. Step 1: Select the date of your event using our Calendar below. You can also check availability in real time. Step 3: Checkout. Then your order is reserved and guaranteed. No deposit required, payment will be due cash at time of drop off! Explore All the Fun Stuff! 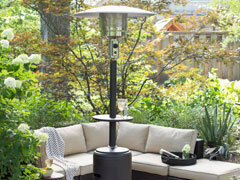 NOTE THAT YOU CAN NOT COUNT SPACE THAT HAS ANY TREES, BRANCHES, WIRES, PLANTS, POLES, ETC. NOTE THAT NO CANDY, DRINKS, CONFETTI OR SILLY STRING IS ALLOWED IN OR AROUND THE JUMPER. IF YOU USE THESE ITEMS AND DAMAGE THE JUMPER IN ANY WAY YOU WILL BE RESPONSIBLE FOR ANY AND ALL DAMAGES. He returned every call promptly, prices are great, delivered when he said he would, and set up very quickly. The delivery was timely, even early. We had a party for a ton of kids, and they loved the combo jumper. The jumper was clean and the pick up was smooth. 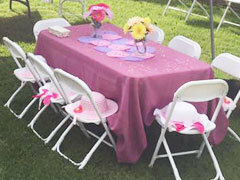 We have had great experiences with Manny's Party Rentals. 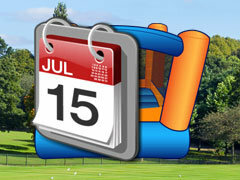 We've used him consistently for bounce houses, tables and chairs for over four years. 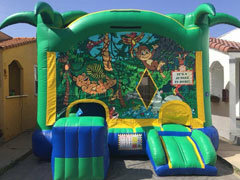 The bounce houses are always clean and have no damage. Manny's staff are on time for delivery and we were very impressed by how well kept his equipment is. I highly recommend his services. Quality service and very reasonable prices!